Daniel Gattig and Dennis Frank have been looking for chassis for a perfect shelf speaker. The intension was to find a tweeter that sounds airy-dynamically; this can be found at air motion transformers. They selected Audaphon AMT 1i, which was named in journal Klang+Ton 4/2014 one of the best in its "weight league". A woofer Wavecor WF182BD12 in bass-reflex cabinet leads to a precise but powerful bass reproduction. You need more? Have a look at Angara. The frequency response of the speaker-system is flat till 23 000 Hz; the decay spectrum is excellent except some resonances at 500 till 1300 Hz. The non-linear distortions remain almost consistently below 0.3% at 85 dB SPL (above 600 Hz). These are excellent characteristics. If you need better results you should have a look at Angara. "One can hear the measured linearity of Lia AMT as well. As expected, when pointing both loudspeakers directly at the listening position they produces the most high frequency energy and that gives an almost surgically precise spatial impression. When the speakers are positioned parallel to the side walls of the listening room, a somewhat more diffuse spatial image is obtained, but with an incredibly atmospheric and organic impression of the virtual stage. In between, there are an infinite number of gradations. With this tweeter it is worth experimenting various options. The midwoofer stands up to amazing sound pressure levels and bravely keeps up with the AMT in terms of precision and dynamics. The decision to use an enclosure of this size was the right one: the Wavecor midwoofer is even capable of impressively deep bass and even up to levels that you would normally not trust any bookshelf loudspeakers in general." 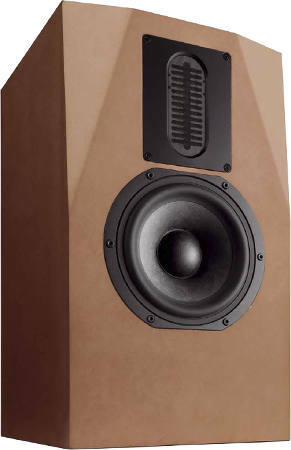 The Lia AMT is slightly larger and slightly more expensive than stand-mount loudspeakers that we normally see. But it is just much better in all disciplines – a huge recommendation! Our high-end version employs a Mundorf copper foil coil in series to the woofer. In series to the air motion transformer a Rike Audio S-Cap is used. Elsewhere baked varnish air core coils or ClarityCap ESA and PWA capacitors are used.